Federalism is again under attack with a persistent campaign against the 18th Amendment or via irresponsible talk about the imposition of Governor’s Rule in Sindh. Already three provinces are being run from the centre; now the remaining one federating unit is also under thick clouds. Are we now going back to the days of the ‘One Unit’ system? The nature of federalism and the scope of provincial autonomy have remained the principal cause of conflict between democratic and authoritarian forces for decades. There were initial conflicting ideas of “Muslim homelands” that were to be "autonomous and sovereign". There were also issues pertaining to the relationship between the contiguous units and the regions. If ‘grouped together’ (according to an amendment to the Lahore Resolution at the AIML session at Madras), the linkage between the regions could only be confederal. There was also no mention of a unitary State’ or ‘Islamic state’ or ‘ideology of Pakistan’ or Urdu as the only national language either in the Lahore Resolution of 1940 and the Madras Resolution of 1941 or the Pakistan Resolution of the Legislators’ Convention of 1946. The genesis of the Lahore Resolution of 1940, and subsequent resolutions, had two principal concerns: first, the rights of minorities and, second, the sovereignty of various peoples/regions in British or post-British India. Both these principled notions remain unfulfilled to this day. In the wake of Partition, due to increasing communalization of politics, there was more unity among most Muslims for a while due to ‘majoritarian fears’; this evaporated soon after the creation of Pakistan. The debate over the limits of the federation and the scope of the federating units continued after the partition of the Subcontinent. The failure to resolve this dichotomy also resulted in the division of Pakistan. In the post-colonial period, the office of an all-powerful governor general and the adoption of the 1935 Act set an autocratic framework. The party that had led the movement for Pakistan had no mass roots of its own in the Muslim-majority provinces. Its main leadership came from the Muslim-minority provinces and was motivated by a kind of Pan-Islamist ideology. Challenged by a more vibrant and democratic majority of Bengalis, the Mohajir leadership forged an alliance with the Punjabis against not only the Bengalis but also other ethnicities in the western wing. Soon after the creation of Pakistan, princely states were merged in the new dominion. These included Bahawalpur and Kalat; and the Red Shirt government was sacked in the former NWFP. All efforts at drafting a new constitution were marred by differences over two opposite approaches to nation-building: unity in inclusive diversity as opposed to unity based on exclusion. The dominant Mohajir-Punjabi narrative consisted of political Islam, Urdu, a strong centre and anti-Hindu nationalism that was contested by a democratic, pluralistic, federalist viewpoint. There were a number of points of contention between various competing interests, such as the nature of the state, the powers and relative weight of a bicameral and unicameral parliament, a unitary setup or a voluntary federation or confederation, the quantum of autonomy, joint or separate electorates, Bengali as another national language, recognition of linguistic and cultural identities or their denial in the name of Islamic unanimity, distribution of resources, sharing of power between the two wings and state institutions. The Bengalis, supported by minority ethnic groups in West Pakistan, wanted a centre with the subjects of foreign affairs, currency and defence to be equally shared between the two wings. The passage of the Objectives Resolution, brought on the behest of an isolated leadership from West Pakistan to please the religious right, was perceived by the Bengalis as an effort to colonise East Pakistan in the name of religion. The report of the Basic Principles Committee was rejected by the Bengalis on the grounds that it intended to reduce their majority by assigning equal status to both the houses as well as parity in representation, and that three legislative lists were taken as a “unitary central government” and Urdu was recommended as the sole national language, ignoring Bengali (which was seen as a denial of their cultural identity). In the middle of constitution-making, the agitation on the issue of the Bengali language changed the whole dynamic of east-west relations and the Muslim League was wiped out in the 1954 elections in East Pakistan, and a government of the United Front was formed. While the first constituent assembly was dissolved by the then governor-general Ghulam Muhammad, the only elected government of the United Front in East Pakistan was dismissed by his successor, governor-general Iskandar Mirza, who dismissed five prime ministers and six governments in East Pakistan. Even though compromises were made to reach a consensus on the 1956 constitution and the One Unit system to pave the way for general elections, the civil and military bureaucratic elite from Punjab and Karachi were not ready to trust the will of the people. The constitution was abrogated and elections were postponed. Then entered General Ayub Khan (1958-69), who denied both adult franchise and provincial autonomy. 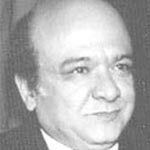 Ayub became an all-powerful president with the promulgation of the 1962 constitution, and introduced a non-party based system of ‘Basic Democracies’, while outlawing almost all potential critics under the Elective Bodies Disqualification Order (EBDO). He even manoeuvred the 1964 indirect presidential elections to win against Ms Fatima Jinnah. After that, it was a long struggle for adult franchise, parliamentary democracy, provincial autonomy, fundamental civil and human rights, dissolution of the ‘One Unit’ system and a democratic republic. Ayub Khan had to finally concede and abdicate power under pressure from the great popular upsurge of 1988-89. General Yahya Khan abrogated the 1962 constitution and held the first general elections in 1970, but refused to transfer power to the elected representatives of the people. Exploiting the inherently conflicting mandates of the two wings and differences between the two major parties – the Awami League from East Pakistan and the PPP from West Pakistan – Yahya Khan resorted to a ruthless military operation that resulted in the break-up of Pakistan. It was only in 1973 that Pakistan was blessed with its first democratic and federal constitution. But this too was kept in abeyance by two prolonged military rules – first by General Zia and, after a short civilian stint, by General Musharraf. The common feature between the all-powerful offices of the governor general or the martial law administrator was one-man centralised authoritarian rule. These interventions were indemnified by the judiciary in the name of the ‘Doctrine of Necessity’. The defining feature of the democratic efforts of the last decade (2008-2018) was the passage of the 18th Amendment that redefined centre-province relations, sought to ensure the supremacy of parliament and the authority of the prime minister, placed checks against anti-constitutionalism and also sought to ensure freedom of the media. The amendment also sought to strengthen federal institutions, and ensured allocation of more resources to the provinces under the NFC Award. It seems that things are a bit uncertain now. That is not what the struggle for liberation from the colonial yoke and democratic struggle against authoritarianism was meant for. It is only through unity in diversity, with democratic and federative inclusivity, that Pakistan can thrive as a republic – not on a path of authoritarianism.